Allied Cooperative’s Blair Grain Plant is Now Open! Allied Cooperative officially opened its new grain facility in Blair this morning. The facility on the east side of Blair is one of three facilities purchased by the co-op as part of a chapter 128 bankruptcy for WI Rapids Grain, LLC. The other facilities are located in Blair (west) and Wisconsin Rapids. The Blair West location was built in 2007 and has 1.7 million bushels of storage capacity. The Blair East location was built in 2008, has 1.1 million bushels of storage capacity, and is located along the CN railroad. The Wisconsin Rapids facility was built in 2005 and expanded in 2006 and 2007. The facility has 1.85 million bushels of storage capacity and rail service, giving Allied the ability to ship 25 car shuttles on the Canadian National railroad. The purchase of these facilities gives Allied Cooperative’s grain division seven locations and 11.4 million bushels of total storage capacity. 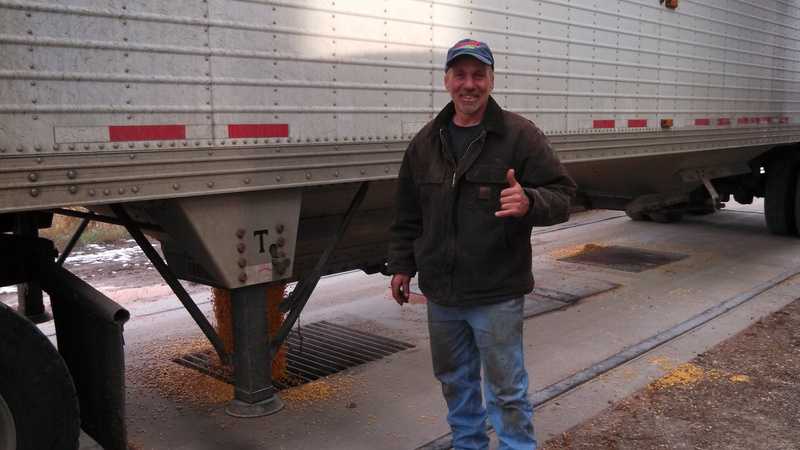 Pictured at left: Allied Cooperative board member, John Vehrenkamp, was pleased to be the first customer to dump at the Allied Cooperative Blair East grain plant.